When you ride the New York subway every day at regular commuting hours, you see a lot of different kinds of bags; after all, New Yorkers can stow things in their cars during the day, and whatever we want to have from the time we leave in the morning until we get home at night has to be carried somewhere on our person. Invariably, men’s gym bags are the ugliest of these bags, and with the Parabellum Full Grain Bison Day Bag, I’d like to remind them that they can do better. Although gym bags do indeed house gym clothes, usually, New York men seem to use them is a stand-in whenever they’ve got slightly more stuff to schlep than a briefcase can contain. The fashion world is full of bags to meet those needs, but some men, even those who spend plenty of money on nice suits, are concerned that others will think of them as fashion-conscious. 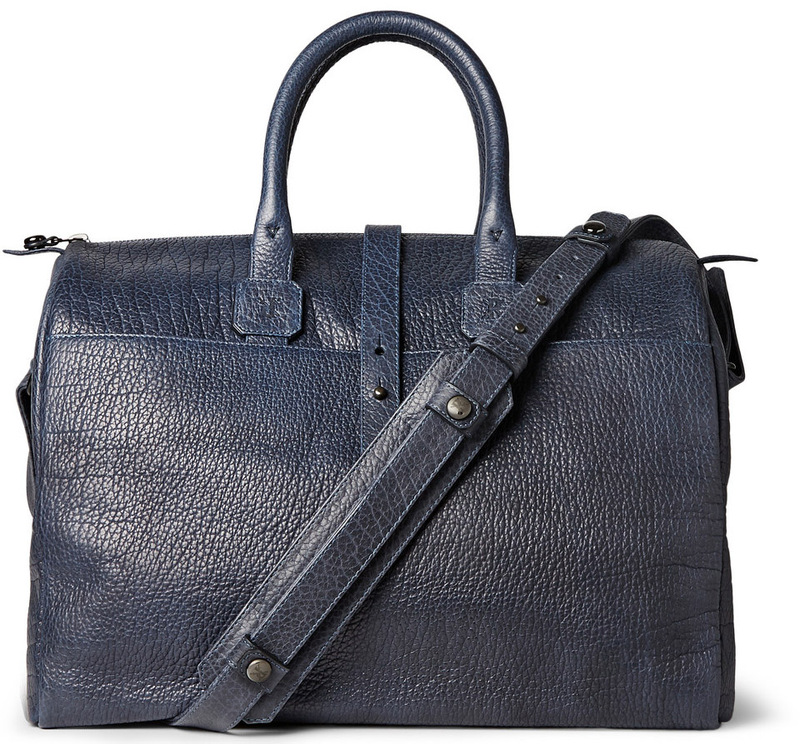 For those men, a bag from a brand like Parabellum is ideal; it contains no exterior logos or branding, and it’s hand-made in the US of bison leather. That’s about as macho as a fancy leather bag gets, and it should quell the gay-panic fears of dudes who can’t just don’t believe that having a nice-looking bag doesn’t mean people will question their sexuality. And for people without those concerns, it’s just a beautiful bag. Pick up one of your own for $2,650 via MR PORTER.